Getting married in Cyprus? Have a statutory declaration – wedding in Cyprus? More and more couples are choosing to have their wedding in beautiful Cyprus. Statutory declaration – wedding in Cyprus. Contact Diane Massey on 01925 937070. 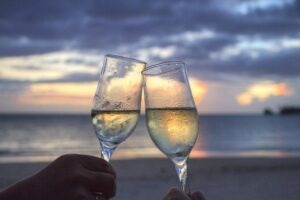 Your travel agent will advise you on the specific requirements which you will need to meet but one of those is that you will need to confirm that you are legally free to marry. Again, your travel agent will usually provide the means for you to do this by providing you with a statutory declaration form. They will also advise on the timescales for completing it. You will need to take the form to a solicitor to administer the oath. The fee is £5.00. We regularly undertake this service in our Warrington office, by appointment only. Please contact us on 01925 937070 or complete our Statutory Declaration Enquiry Form by clicking here. We’re happy to answer any questions you may have. We have the experience and dedication to get you the best possible outcome. We can also assist you with personal injury including serious injury and fatality claims, road traffic accidents, accidents at work, slips and trips, accidents involving children, employment law claims including unfair dismissal and discrimination, settlement agreements, criminal injury compensation claims, making a will, lasting power of attorney and professional negligence claims.